Cole Deelah – Cole is a mother to 5 children, a doula, midwife assistant, placenta specialist, and childbirth educator. She has been serving families in the capacity of a doula for over 12 years. An avid blogger, she has written for such publications as The International Doula, Sacred Pregnancy, and Midwifery Today Magazine. She works to help women become empowered to make their own educated decisions and the best choices for their circumstances in labor and birth. Her hope is to dispel fear and anxiety over this blessed event through advocacy, education, and support. Further, she believes in a woman's right to make an educated choice about where and with whom to give birth. Catrice Harris - As a Birth Doula and Community Educator, Catrice enjoys advocating for women and providing support with natural birth initiatives. She teaches a variety of classes for The Woman’s Hospital of Texas, and also works as an independent care provider. Her most rewarding role however, is mother to two daughters. Having struggled with a lack of breastfeeding support as a new mom, and also after very routine hospital birth experiences, she feels very fortunate to now have the opportunity to encourage women to listen to their inner voices and be active participants in their own care. Caitlin Fisher - Caitlin is a mother of three sweet children. She earned a bachelor’s degree in Social Work and has worked in that field as well as childcare and as a hospice volunteer. The births of each of Caitlin’s children have been unique and influential in sparking her passion for birth. After the healing home birth of her last child, she decided to pursue doula work as a way to help other women find the joy in birth. It is Caitlin’s belief that each birth is sacred and special, no matter the circumstance, and that every mother deserves to birth in the way that she chooses. She strives to help mothers have the knowledge, support, and confidence necessary for a beautiful birth. Heather Barrett - As a mother of 5 and long-time member of the natural birth community, Heather has developed a passion for pregnancy, birth, and motherhood. She is a birth doula, postpartum doula, and parenting educator, as well as aspiring midwife. Additionally, Heather founded and leads the Houston Birth Alternatives birth support group. Kimberly Ramos - Kimberly is mom to one precocious daughter. She has a degree in physics and a background in the energy industry. In attempts to educate herself about her choices prior to her own birth, she read everything she could get her hands on, and she also hired a doula, thus kicking off her love affair with all things birth and babies. She approaches things from a “how and why does this work?” mindset, and her passion lies in providing information to new parents and helping them to make the best choices for themselves so that they can have the best possible and most empowering birth experience they can have. Tauna Patterson - Tauna loves all things birth! As a birth doula, she serves families with her knowledge of birth and gentle intuition, respectfully supporting them in their choices. Tauna has a genuine desire to help educate families on available options in the Houston area and to connect them with the best possible local resources. Having a heart for hard birth situations, she strives to bring peace and compassion into each birth. Tauna has been attending births for over 18 years, experiencing many different aspects and preferences of delivery, and she considers it an honor to walk with each woman through their childbearing season. Leigh Ann Sharp - Leigh Ann is a birth doula, bereavement doula, birth story listener, and mother of two, and she is passionate about helping families receive a high quality of care throughout pregnancy and birth. She brings a calm and steady presence to the birth room, a respect for the birth process, and a strong confidence in the ability of women to make decisions regarding their own care. Her personal experiences and struggles have fueled her love for coming alongside families as they navigate the joys and challenges that birth and parenting bring. Jessica Nichols - Jessica is a spiritual driven wife and mama to her 5 most precious gems. She is a forever student and life learner. As a farm-life devotee and soul nurturer, she is an advocate for conscious living and passionate about holistic health and healing of the mind, body, and soul. She specializes working with mothers and children beginning in pre-conception, during pregnancy, postpartum, and through the parent-child journey. She and her husband grow organic produce and offers nutritional planning. She is a personal fitness trainer, holistic nutritionist, teacher of Hatha and Kundalini Yoga, Certified Lactation Educator and Consultant, Lamaze Childbirth Educator, and Postpartum Doula. Lindsay Cardella - Lindsay' passion for birth and postpartum began with her Birth Boot Camp classes and later expanded to include postpartum doula services and later, The Postpartum Kitchen - a meal service for new families. Her focus is primarily on nutrition, breastfeeding, new family education, and sibling adjustment. She has helped co-author three international multicultural cookbooks and is passionate about supporting families surrounding birth and the "4th trimester". Cole Deelah - offering both Raw and TCM methods of encapsulation, tincture, salve, truffles, smoothies, smoothie prep, prints, and pictures. Jessica Nichols - As a Postpartum Doula, Lactation Educator/Consultant, and Community Educator, Jessica enjoys advocating for women and providing support for new parents, as well as offering education and resources for healthy living and nutritional counseling. Heather Barrett - As a Postpartum Doula and Community Educator, Heather leads community support groups and a babywearing group in Sugar Land. Leigh Ann Sharp - As a Postpartum Doula and Community Educator, Leigh Ann offers birth story listening sessions as a channel in which to reframe and assist in processing the emotions and memories of birth experiences. 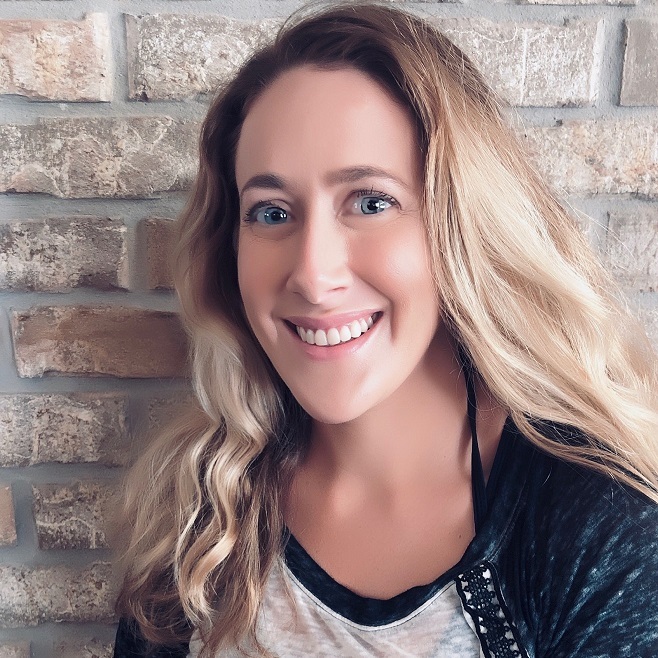 Lindsay Cardella - As a postpartum doula and community educator, Lindsay offers postpartum nutritional counseling, parenting assistance, and new family support. For more information about our services or community events, feel free to contact us. We serve Houston, Friendswood, Sugar Land, Galveston, and more. We hold community events throughout the Houston area, including birth preparation, baby care, and film screenings. "I can honestly say that my doula gave me the knowledge and physical support to get me through the birth. She did everything in her power to keep me in a positive calm state of mind. She had my back throughout my pregnancy, during my birth, and even now in my new challenge of motherhood." - Celina S.
When the time finally came to birth my son, my doula was by my side! She anticipated my needs during labor and was there for every contraction to provide me with physical and emotional support.